1. 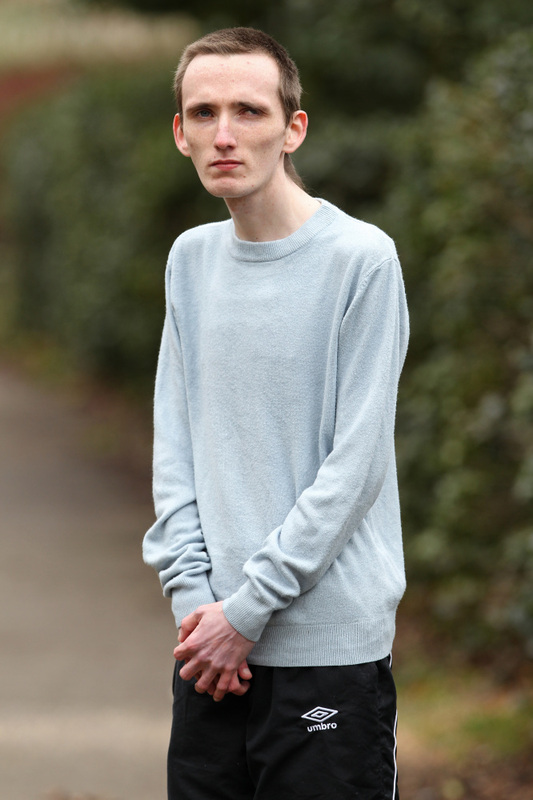 23-year-old boy from the English town of Beyzildon suffering from anorexia. Two. 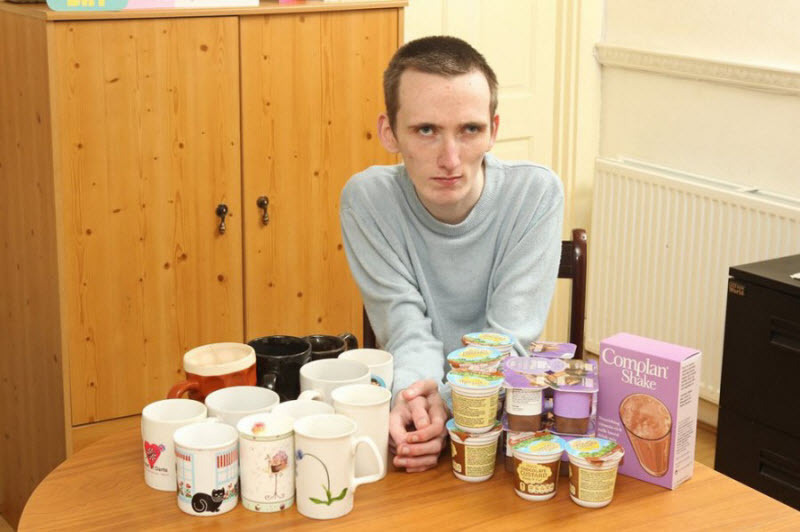 In Mark's diet includes only liquid and creamy dishes. 3. 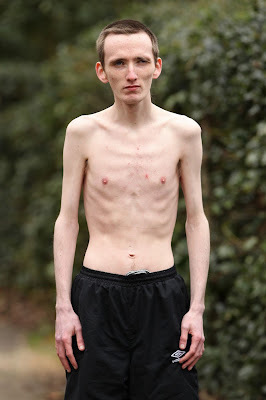 Phobia, which became the cause of the disease Mark, accompanied him since childhood. Now, the guy starts a panic at the sight of a normal meal. 4. Mark can drink cocktails, tea, and there are mousses and creams. 5. 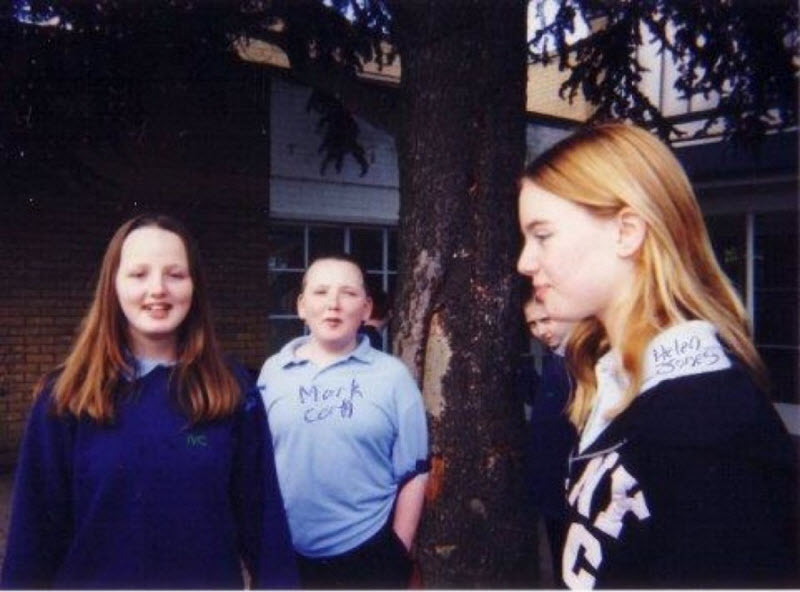 At the age of 14 years, Mark weighed about 100 pounds and suffered ridicule peers who called him fat. 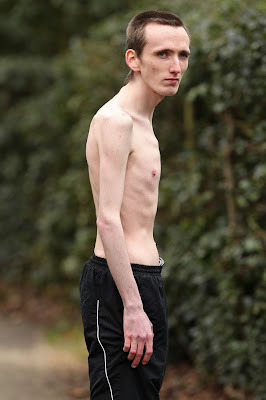 Man no longer eat solid food, reducing their diet to a jar of Coca-Cola. Rep Mark was about 40 pounds. The family came to the aid of a guy and now he's on the road to recovery. In the photo: Marc with his parents. 6. Photo from family archives Kornev. It still healthy, but the full Marc Korn. 7. Mark admits that he understands the pain of their thinness, but prefers its fullness. 8. 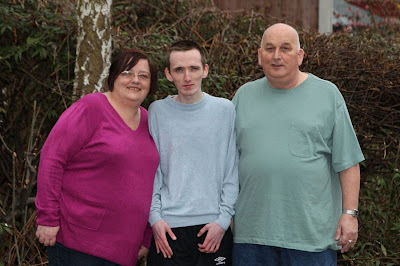 Once Mark started to lose weight suddenly, the parents raised the alarm. Doctors put a teenager diagnosed with anorexia. Slowly, Mark began to eat solid food, but still can not bring myself to eat regular food. According to Mark Dzheynis mother, she really wants her son again, sat down at the family table. In the photo: Marc's family: his father Daniel, mother and sister Dzheynis. 9. 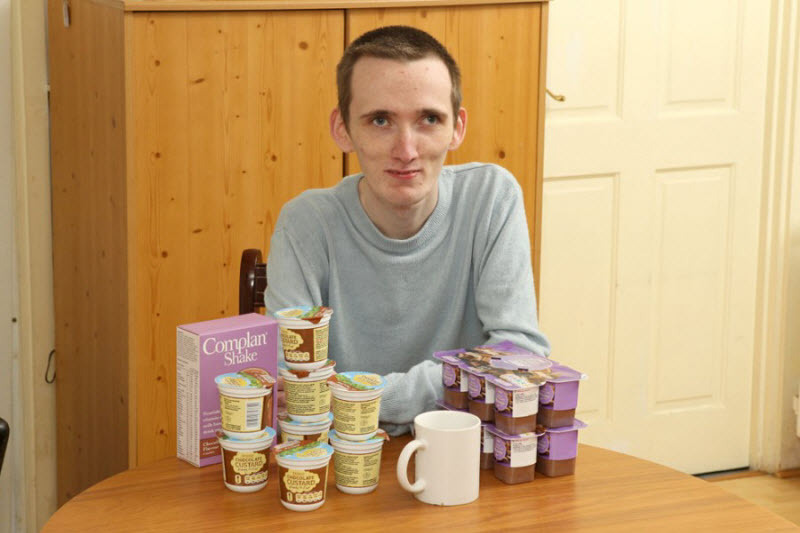 Experts are unanimous that Mark suffers from eating disorder. Only 1.6 million people in Britain suffer from this disease. 20% of cases - men.